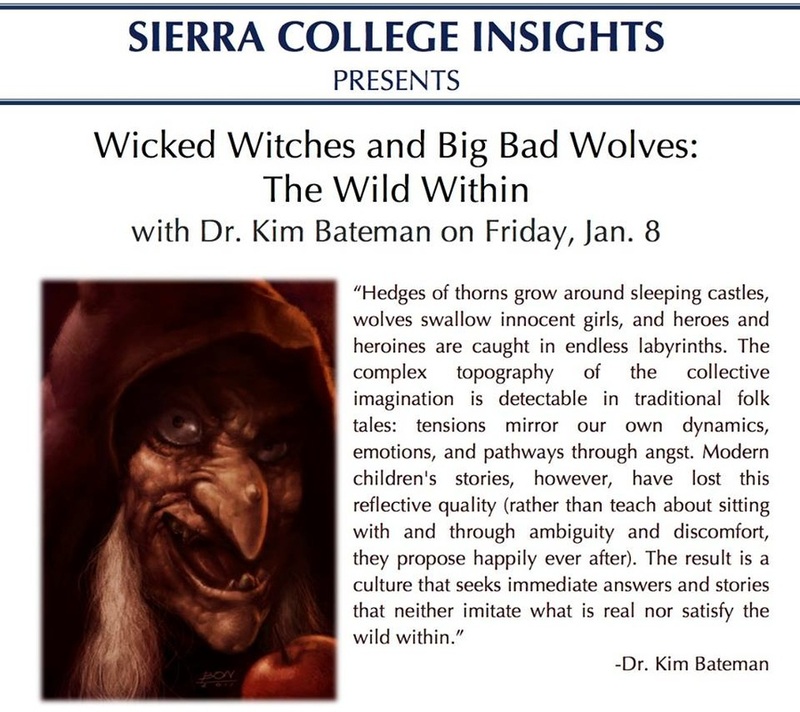 Speaking/Workshops - Kim Bateman, Ph.D. Contact Kim Bateman through the contact sheet to discuss scheduling the following, or to create a unique presentation/workshop. From the blissful state of “One Love” to the impetus to “Get Up, Stand Up, Stand Up for Your Rights,” many relationships transition from oneness, to separation. With wisdom, they may progress to the state of rapproachment--or a mature re-establishment of respectful connectivity. Experience an inclusive, interdisciplinary approach to using the makerspace and/or project based learning in your course. Reflect on, and apply pedagogical best practices of design, mapping, assessment, and the integration of storientation to create a maker ecosystem and mindset. Situates the human psyche in the greater web of natural ecosystems and examines intrapersonal dynamics as reflections of environmental issues. As within, so without. An exercise designed to help participants recognize and develop the rich multiplicity of their personality strengths. Identify natural skills, recall gifts of wisdom, and encourage flexibility in responsiveness in this guided, interactive practice of self-discovery. Participants will leave with a greater awareness of themselves and a heightened ability to contribute to a collaborative college community. Research based strategies for high quality teaching (workshop) This interactive workshop presents principles integrated from organizational behavior theory, and cognitive, developmental, educational, and social psychological research. Professors participate by visiting seven stations which explore findings about student learning. They share their own experiences in relation to constructs such as: students’ past experiences can help or inhibit assimilation of new material, what really motivates students, and how students’ developmental level can affect classroom culture. Varied examples are used to help Faculty reflect on their own approaches, with the goal of increasing pedagogical excellence. “I just got back from Burning Man—is there anything I missed?” and other ethical dilemmas (workshop) This lively and interactive workshop focuses on day to day classroom management dilemmas. From, “I really need this grade to keep my financial aid to sorry I missed the midterm, I was actually in jail,” cases will be presented to stimulate discussion. Faculty will share their own experiences, with a focus on conscious development of each professor’s unique value system and approach. Collaborative suggestions will be encouraged, and each participant will leave with a heightened ability to respond to challenging situations. From Mockery (the Darwin Awards) to Sarcasm (National Sarcasm Society- like we need your support), comedy can be viewed as a diagnostic tool for the investigation of enduring questions about the human condition. Humor has a critical purpose (What’s wrong? What needs to be expressed?). Humor has a cohesive function (We’re in this together), as well as a divisive effect (You’re not us). And, it serves a coping function (We’ll make it through). This thought provoking presentation will leave you laughing, and thinking about how you might tickle your funny bone on a more regular basis. Developmental psychologists view play as vital to cognitive, physical, emotional, and social health. As adults, we often feel conditioned out of our sense of wonder, flexibility of response, creative thinking, and ability to be present in the moment. This workshop will help you re-discover these qualities, and incorporate them into your daily life. ﻿﻿Ugly Ducklings: Every One (gender) is a visually rich and interactive presentation based on the classic children’s tale, “The Ugly Duckling.” The archetype of the unusual or “ugly” appears in our cultural narratives and as an image, can help us negotiate the crossfire of mixed messages about ideal femininity and masculinity. The talk is designed to engage and provide the impetus to move from disenfranchisement to empowerment. A visually rich and interactive presentation using parts of the classic tale “Sleeping Beauty.” The archetype of the unusual or disenfranchised appears often in our cultural narratives and can help us negotiate the crossfire of mixed messages about racially and ethnically under-represented groups. This talk will help promote cultural competency at your workplace, inviting the movement from disenfranchisement to empowerment. Explore some of the archetypes of addiction: The demon lover, the labyrinth, the hostage, the gambler, the trickster, the cripple and ultimately, the grim reaper. In this interactive workshop, recurring dynamics in addiction will be examined with a focus on connecting the mythic with the personal. Although we do have to say good-bye to our material relationship, we are also being presented with a chance to say hello to a different type of relationship. In Singing Over Bones, Dr.Bateman illustrates creative outcomes to mourning that allow one to recognize, contain, release, and yet stay in relationship and keep loving. Comments: "Outstanding! A great opportunity to learn ways to explore and process loss. Thank you." It has been a common finding among modern theorists that dreams about the deceased are a healthy attempt by the bereaved to resolve conflicts, surrender attachments, and deal with feelings of abandonment. In this paradigm the dream image is seen as an internally generated memory trace, or introjection. In contrast, pre-scientific cultures and modern tribal peoples have held longstanding beliefs about the veracity of these communications from the dead. Perhaps the dream image can be viewed metaphorically. That is, as neither a pure introjection on the part of the bereaved, nor as a substantive visitation, but as something that is created from what lies between the living and the dead. This co-created image can then be seen as a rich source of information for understanding the relationship dynamics in life as well as in death. This interactive presentation is designed to assist those who are struggling with the aftermath of suicide. It provides background, a multi-theoretical approach to understanding, and tools to address the intensity of feelings experienced by the bereaved. There is a strong emphasis on compassion for one's self, as well as the deceased. ﻿Comments: "This class was powerful! I am leaving with a sense of having touched something deep with my grief that is both personal and universal."